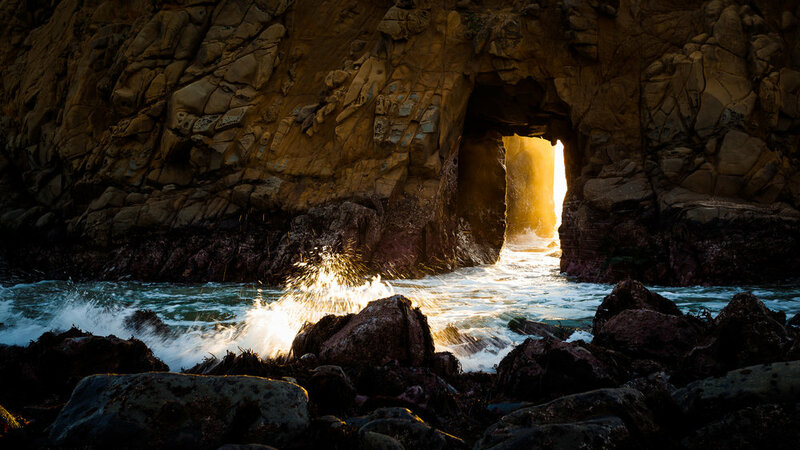 It's no secret that the Monterey, California area is breathtaking, and there are stunning views around each new corner. Finding the best spots to capture this beautiful part of the country can be a little more challenging. I spent a few days exploring Monterey, Carmel and Big Sur on this trip. Having been a few times before, I've come to know the area quite well. Best time to visit: Sunset and dusk. Plan on arriving an hour before sunset and sticking around for half an hour after sunset. Pebble Beach is located on 17-Mile Drive between Carmel and Monterey. It will cost you $10.25 to drive road, but it’s well worth the small amount to see this area. On this drive, you’ll also see the famous Lone Cypress Tree, the most photographed tree in the whole country. If you keep going past it, you'll come across beautiful beaches with rolling sand dunes leading down to them, covered in plants and flowers. We had the entire place to ourselves when we visited, but go there early because there's plenty to see. Best time to visit: Any time of the day. Cloudy days and Golden Hour are the best times but Garrapata State Park is great to photograph any time of the day. 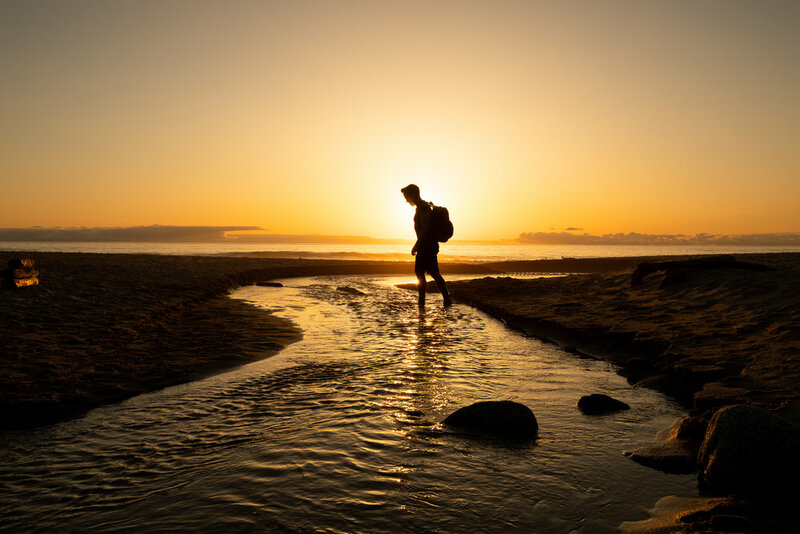 Hike the Bluffs Trail and explore the area, taking care to stay on the designated trails to avoid damaging delicate vegetation and disturbing wildlife. High on the bluffs you'll find beautiful wild flowers and lush green plants, down on the beach you'll find golden sand, driftwood, streams and hidden little coves full of surprises to photograph. Stay until sunset and watch surfers ride waves with the water illuminated with the last light of the day. Best time to visit: Any time of the day. Go midday to capture the vibrant blue water below or go at sunset to see the bridge lit up in golden sunset light. You can't miss the Bixby Bridge: just a short thirty minute drive south of Monterey, it's a must do. Park at the designated turnouts and walk around on the cliffs to capture all the different angles. It can be busy here any time of the day, so be careful pulling into the turnout and stick to the trail to avoid damaging the vegetation in the area. Best time to visit: As soon as it opens on a week day. Watch the first feeding of the day at the 'Open Sea' exhibit. 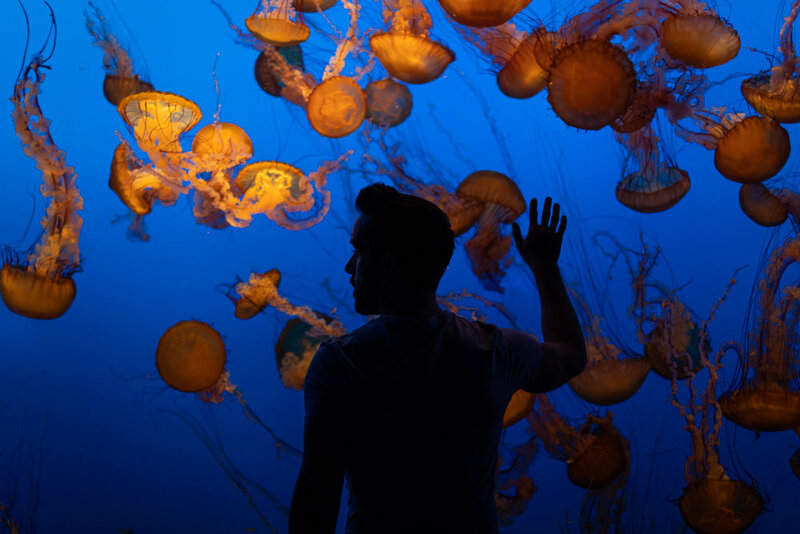 The Monterey Bay Aquarium is undoubtedly one of the best in the world, which means it attracts lots of visitors. It's well worth the $49.95 (for adults) to get in, and you will spend hours in there. The underwater viewing areas are breathtaking and make for great places to capture silhouettes while fish, Leopard Sharks and Jellyfish swim by. The first feeding of the day in the Open Sea Exhibit is by far the best, take a look at the daily schedule and get there early to get a good seat. Best time to visit: Golden Hour until Sunset. Pfeiffer Beach is about forty five minutes south of Monterey on a small unmarked, paved, one way road. A small fee will give you one-time entry to the parking lot and beach. Plan on arriving at least an hour before sunset to enjoy the views and explore a little. It's a popular photographer spot so arrive early and be willing to share and communicate with others around you. Be careful not to get to close to the rocks and waves, the ocean is very unpredictable. The park closes at sunset, so don't stick around too long after the sun goes down. McWay Falls will likely need no introduction, it's a view that attracts hundreds of thousands to this part of California yearly. Visit during the day with a polarizer to capture the stunning aqua water or visit at golden hour to see the falls light up for sunset and the sky turn a beautiful pink hue. If you're flying in to Monterey, the easiest access is to fly into MRY Regional Airport, just minutes away from downtown Monterey. United, American, Allegiant and Alaska all offer plenty of flights through San Francisco, LA, Phoenix, San Diego and Las Vegas.